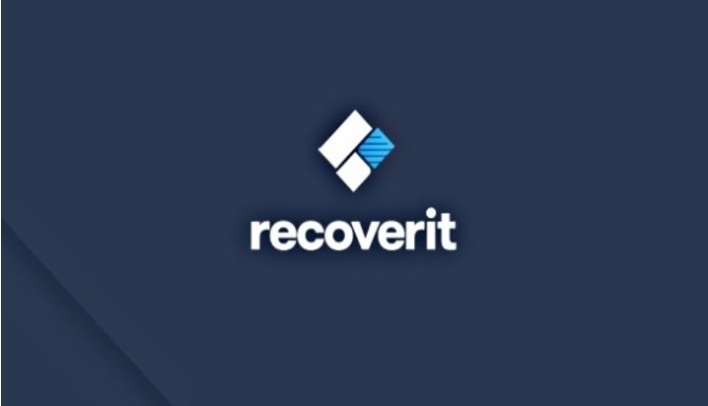 Recoverit is amazing free data recovery software for Windows that boasts a 96% recovery rate! 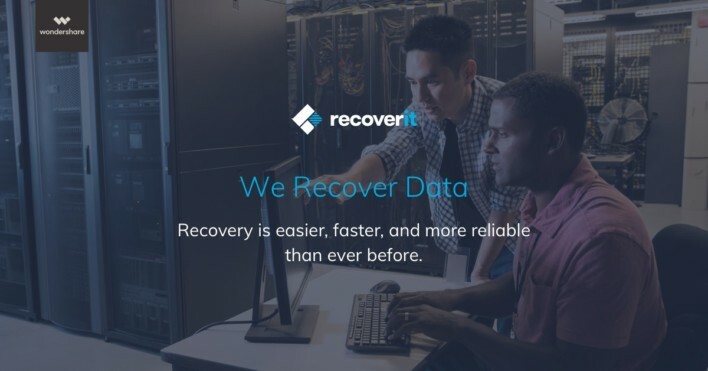 Quite simply, Recoverit retrieves your data from all data loss scenarios including emptied recycle bin, accidental deletion, disk formatting, partition loss, external device corruption, virus attack, system crash, bootable problems, you name it! 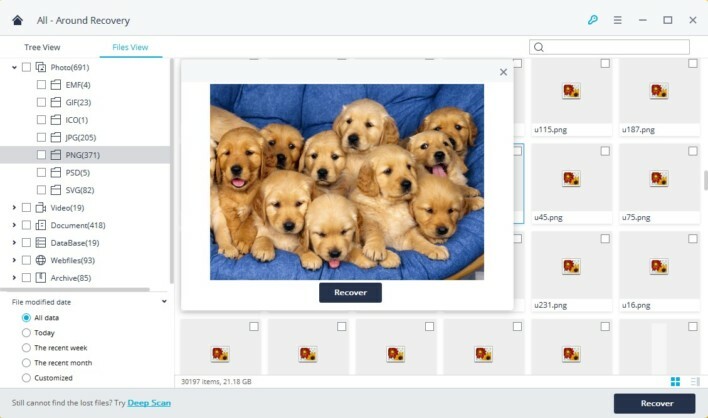 Wondershare know that lost data is so much more than just missing information… It can be precious photographs, vital documents, or your beloved music collection. That’s why Recoverit recovers all file types including documents, graphic, video, audio files, and email, to name a few. What’s more, it doesn’t matter where that pesky data is. Recoverit restores from all storage devices and including hard drives, SSD, RAID, USB drives, micro cards, memory cards, cameras, camcorders, music players, external disks – the list is almost endless. Recoverit Free is the free version of Recoverit Pro which allows you to recover up to 100MB data for free. Just try to use it whenever you are troubled by data loss. Launch the Recoverit data recovery software and select a data loss scenario case to restore data. Scan your device, select the path/location where the data loss occurred, and click “Start”. Selective recovery; preview, recover and save files. It’s as easy as that! Not only is Recoverit simple to use, it’s also super quick. Enjoy seriously fast scan speeds thanks to its powerful built-in Data-Analyzer Engine. While the Advanced Deep-Scan algorithm goes deep into the data structure and is the secret behind Recoverit’s amazing data recovery rate of more than 96%. With today’s technological advancements you can recover ‘Shift Deleted’ files from your computer’s hard drive. There are powerful data recovery tools that come in sleek designs to cater for your data needs. Did you know? 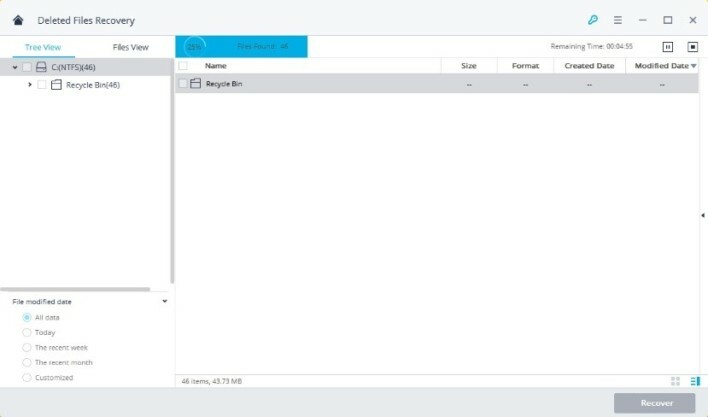 When a file is deleted from a computer, it never disappears completely. There are still traces of it left behind. The chances are that you can recover it successfully by following Wondershare’s simple tips. Data lost from SD cards can happen for many reasons such as users accidentally deleting images or formatting the card, or the card may simply become corrupted or inaccessible. Find out more about recovering SD data here. When files are emptied from the recycle bin, they are still stored on the computer hard drive disk. This means that you still have a chance to retrieve your data. To recover deleted files from recycle bin after emptied, you will need a data recovery software. When the system crashes, we need to select a USB bootable drive or CD/DVD bootable drive to create a bootable media. Recoverit Pro contains a bootable media and a system crash guide for you to recover data step by step. So there you have it. Data recovery is easier, faster, and more reliable than ever before, thanks to Recoverit from Wondershare. It is fully compatible with Windows 10/8/7/Vista/XP, and with free 24/7 tech support, what are you waiting for?! Download Recoverit for free now and enjoy 100MB of free data recovery.